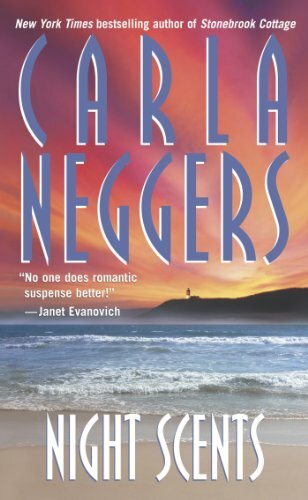 Carla Neggers has a magic touch for weaving spine-tingling suspense with romance so sensual it takes your breath away. Here she’s at her best, in a delightful potpourri of dangerous intrigue, enchanting wit, and spellbinding desire…. This time Piper Macintosh’s great-aunt has really gone too far. Eighty-seven-year-old Hannah, who fancies herself a witch, has sold her historic Cape Cod house to a Tennessean whom she claims is the man for her niece. Piper doesn’t think they’re a likely match — particularly not after she meets the reclusive tycoon while trespassing in his garden. Clate Jackson has come to the windswept Cape to forget, not to get involved with the woman who’s digging up valerian root for her great-aunt’s crazy potions. But when Hannah reveals an old family secret and warns of danger on the horizon, Clate reluctantly works with Piper to solve a long-ago murder. Unraveling the secrets of Clate’s past, however, will take what only Piper can supply: her healing love and her own boldly passionate heart….